There are actually a lot of characters in Fortnite, each with their own story, traits and perks. Well, at least in the PvE campaign (also known as Save the world). You can choose to play as Soldiers, Outlanders, Constructors and even Ninjas! I’m sure many of you will experience it yourself once the game eventually goes free. Many of the characters from Save The World have been brought over to Battle Royale as Skins instead. Whether they end up being Rare, Epic or Legendary skins usually decides on how the appearance looks. In most cases, they appear the exact same across both games. Just minus some voice lines, abilities and traits of course. Not ever character is brought over though, as Battle Royale gets it’s own unique characters all the time with the recent introduction of Rex & Raven, who arrived in one of the latest updates. Recently, there was some controversy as Epic announced some new skins which where characters from Save the World that people had essentially paid hundreds of dollars for. As of right now, these characters still haven’t been released and whether they will be is unknown. Unfortunately, characters don’t really exist in Battle Royale currently, in the sense that you can’t just choose a character to play. For now, your ‘Skins’ will act as characters. If you don’t own any skins, then a random skin (one of the basic ones) will automatically be assigned to you. 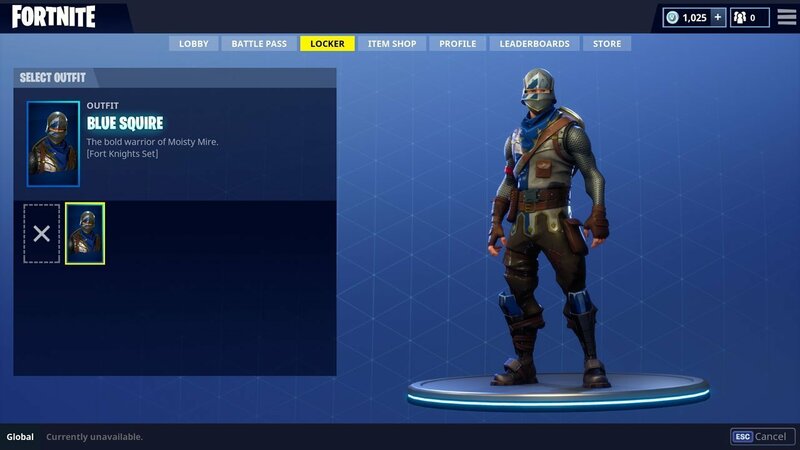 You can change your skin by going to the Locker tab, where all your unlocked items will be. If you’re a player who doesn’t own any skins, then you can’t choose which skin or gender you play as either. One of the best ways to start earning skins would have to be with the Battle Pass, with Season 4 starting soon. If you’re looking to earn some VBucks, we mentioned an at the bottom of this article where you can earn them for free. It’s possible that in the future, you will be able to actually pick any character that you wish to play, and maybe even have your own customisation, essentially designing your own. 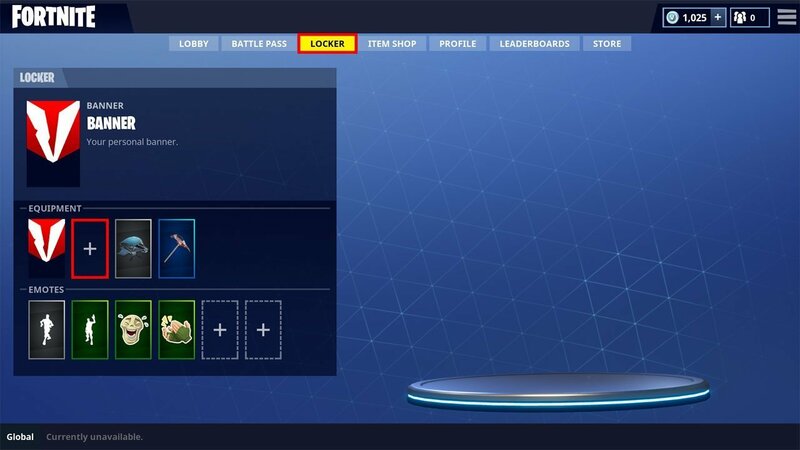 We’re starting to see this with the recent introduction of Back Bling. Many players have requested this feature, and many concept arts have been shown. Being able to swap heads between characters or clothes. This might take a while (if it is ever implemented), with Fortnite Battle Royale still being in the early stages of it’s release. However it would be a welcomed addition by the community for sure. As you can’t yet choose a character naturally, we’re going to show you how you can equip any skins you might own in the locker. This guide will work for Xbox One, PS4, PC & Mobile. First off, you need to make sure that you own a skin already in Fortnite. Skins can either be bought from the ‘Item Shop’ for V-Bucks, or unlocked with Battle Passes. The Battle Pass is definitely the better option. Select the ‘Locker’ tab at the top of the screen, then the empty slot next to your banner. It’s the slot to the furthest left. In this slot you can select a skin that you own already. The second slot is for gliders & umbrellas, whilst the third slot allows you to choose your pic-axe. Finally, you can equip emotes at the bottom set of slots. Up to 6 emotes can be equipped at any time and used in-game. Choose the skin that you wish to equip. If you’re on PC, you may need to double click it, or press the X or O button on console. Whilst a skin isn’t necessarily a character, it allows you to change your model in game between male and female etc. It’s the closest thing at the moment to choosing your gender in game. Skins cost V-Bucks, and can’t be unlocked for free in the current state of the game. One of the most worthwhile & cheapest ways of getting multiple skins would be with a Battle Pass.